That's a reasonably substantial change in 14 years. In 2003 the Maori and Pakeha share were identical at 29%. 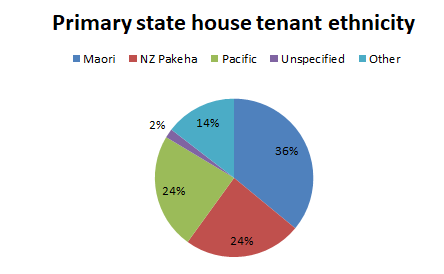 Now the Maori share is 50 percent greater than Pakeha. What I'd like to see is an age breakdown of those pie pieces. How much is the growing dependence a facet of the ageing population? My third report in a series, written for Family First, Imprisonment and Family Structure was released last Friday. I was very grateful to criminologist, Greg Newbold, writer, David Cohen and ex-detective, Dave Pizzini for reviewing the paper and providing feedback. But apart from Leighton Smith interviewing me last Friday the media seems to have ignored it. Below an op-ed I produced on the back of it. It is intentionally hard-hitting - more so than the report. Anyone who would like a hard copy of the report which traces imprisonment rates and family structure statistics over the past 100 years (in order to encompass the period when Maori went from being virtually absent among the prison population to today when they make up half), let me know. Corrections has identified that the mothers of those children on the pathway to prison are young, uneducated, suffered abuse or neglect as a child, are, or have been substance dependent, are without family connections and have serial male partners. Treasury says abused or neglected children who spend most of their lifetimes on welfare, with a parent who is or has been a prisoner, and a poorly educated mother are ten times more likely to be prisoners before reaching 21. 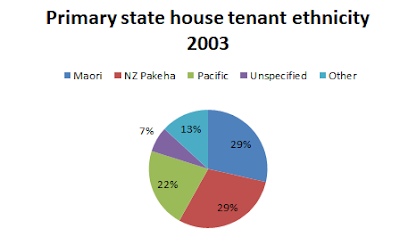 Te Puni Kokiri has identified intergenerational imprisonment, particularly among Maori. They report, "...anecdotally we were often told by prisoners that they had children by more than one mother." The renowned Dunedin longitudinal study produced the following observation: "Men who spend time in prison are likely to father a disproportionately high number of children...men who engage in highly anti-social behaviour make up 10 percent of the birth cohort, yet account for 27 percent of babies fathered by the time the men are aged 26 years." Overseas research finds a causal link between male imprisonment and female multi partner fertility. Father A goes to prison; mother takes a new partner, from a similar background, to whom she has another child. Replaced Father A comes out of prison on a short break (he's a violent serial reoffender, quite possibly a gang member) and in the available time quickly forms a new relationship leaving yet another child set on the trajectory to prison described above. The enabler of these loveless baby factories is welfare, the ideology behind which is once more on the ascendency. On 1 July the taxpayers will foot a further hefty increase in benefits to these very families. Last year 17 percent of all registered babies had neither married nor de facto parents listed. For Maori babies, the proportion more than doubled to 35 percent. This fact alone is a reasonable pointer to Maori over-representation in prison. The Department of Internal Affairs estimates 2,600 babies born last year haven't even been registered yet. Many of these children, from chaotic beginnings, will soon come to the attention of CYF. Some will spend part or all of their lives in state care and will ultimately revisit the terrible hurt they have experienced on innocent parties. Eighty three percent of teenage prisoners have a CYF record. These are all pieces of a jigsaw puzzle that when assembled reveal an ugly picture of the future. While this state of affairs continues, there is no hope of lowering the prison population by 30 percent in fifteen years’ time - unless of course these angry young victims-turned-offenders are allowed to avoid custodial prison sentences in the future. In reality a properly functioning prison system with not just enough cells, but enough rooms and resources for necessary rehabilitative programmes to take place, is vital. And at the other end, the beginning? If nothing else, to policy-makers, please, reconsider making meal tickets out of innocent babies. I've just become 'mum' to one of these pups. The real mum is a smooth coat smallish Huntaway and the father mostly Sharpei. Working/ farm dogs. 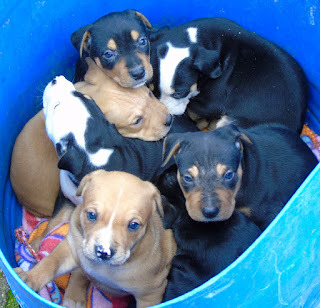 Six remain and the owner is very keen for them to go to good homes. Mine, now named 'Limmy', has been a joy for the half day we have had her. Very calm - sat/slept on my knee for the journey home. Has done some exploring since arriving, said a shy howdy to the first inhabitants (existing Huntaway seems rather intrigued if cautious) but at 8 weeks, still wanting to be cuddled back to sleep - missing her litter.